A drug that combines four different medicines and could halve deaths from heart attacks and stroke around the globe will enter human trials this week in London. The once-a-day polypill has been the dream of doctors for many years, but because the drugs it contains, including aspirin, are cheap, there has been no financial incentive for the pharmaceutical industry to get involved. Now, however, international teams of researchers, with the backing in the UK of the Wellcome Trust and the British Heart Foundation, are just a few years away from making the polypill an accessible reality. 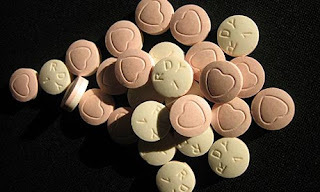 Difficulties in combining four drugs in one tablet have been overcome and the Red Heart pill, as it has been christened, has been manufactured by the Indian generic drug company Dr Reddy's. Volunteers are now being recruited for a 12-week pilot trial which will involve up to 700 people in six countries. If all goes well, the main trial with 5,000 to 7,000 volunteers will begin at the end of next year. Anthony Rodgers, co-director of the clinical trials unit at the University of Auckland, leader of the project, said it had been a struggle to get the polypill this far. "The chances of mainstream pharmaceutical industry taking this on are slim. "We spent a few years around about 2000-2002 trying to persuade a number of companies to do this, but got nowhere. Basically, their whole business model is around people paying a few hundred pounds a year for the latest blockbuster drug. A pill with established medicines that halved cardiovascular risk and could be available for £20 a year could be seen as a threat." He added that it had been hard to find a source of research funding for a lifesaving idea that involved using existing medicines and was therefore about application as much as innovation. "If someone came up with a credible solution to preventing most cancer, using established available and affordable medicines, can you imagine it taking this long to be trialled?" The typical candidate for the polypill is a 55-year-old man (or slightly older woman) who smokes. Smoking, being overweight and inactivity are the common causes of cardiovascular disease. Doctors in the UK prescribe a cocktail of drugs for people at risk - especially if they have had a heart attack. But even though these preventive drugs to lower blood pressure and cholesterol are easily available on the NHS, some people do not go to the doctor, while others find it hard to stick to a multi-drug regime. The polypill combines aspirin, a statin to lower cholesterol and an ACE inhibitor and a thiazide to counter high blood pressure in one tablet. "There are particular groups in our community who are not getting the required preventive therapy, both among those at modest cardiovascular risk who are not being evaluated and those at pretty serious risk who have already had a heart attack," said Professor Simon Thom, from the international centre of circulatory health at Imperial College London, where the UK arm of the trial is taking place and where the first volunteer will begin taking the tablets this week. Among people who have already had one heart attack, drug take-up should be 100%, but it is not. The Red Heart pill could transform the prospects of people in the developing world. In middle-income countries such as India and Brazil, cardiovascular disease is soaring as western habits are become ingrained. "Coca Cola costs peanuts and everybody has motorised transport. This has happened almost within a generation, so it's nothing to do with genetics," said Thom. According to the World Health Organisation, 17 million people die of heart disease and strokes every year and 80% of deaths are in developing countries. Polypill enthusiasts say the death toll could be halved by the daily Red Heart tablet, which would cost $1 (54p) a month. Although Thom would expect a range of polypills to be prescribed by doctors in the UK, a standard tablet could be sold over the counter at pharmacies in the developing world. "The prospect in the developing world is that the pill will be administered almost blind, but the people who really should be in the front of the queue are those who have had heart attacks and strokes and are not getting a sniff of any of these drugs because they are prohibitively expensive," said Thom.